Time saving: While the machine is filled up automatically, the operator can use the time to carry out daily maintenance tasks or other jobs. Two at one swoop: Both brushes can be replaced quickly and easily in a single work step. 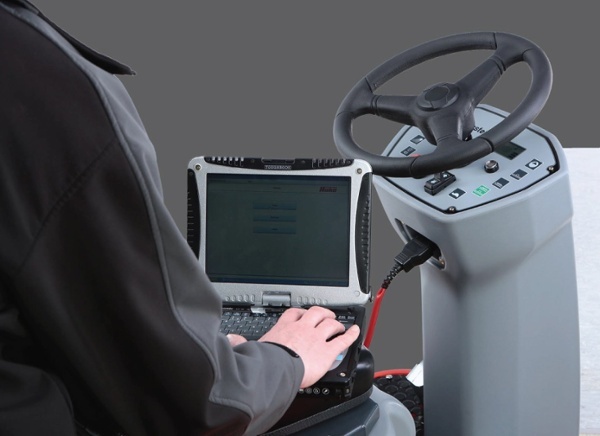 Quick and easy: Easy access to the diagnosis interface allows maintenance tasks to be carried out or adjustments to be made to the machine parameters directly and with very little effort. Always ready to use: The tool holder allows stowing away both the hand-held vacuum tool and the squeegee safely and easily and have them ready at hand when needed. Easy to clean: The design of the recovery tank with smooth inner surfaces allows easy cleaning and removal of residue and coarse dirt. 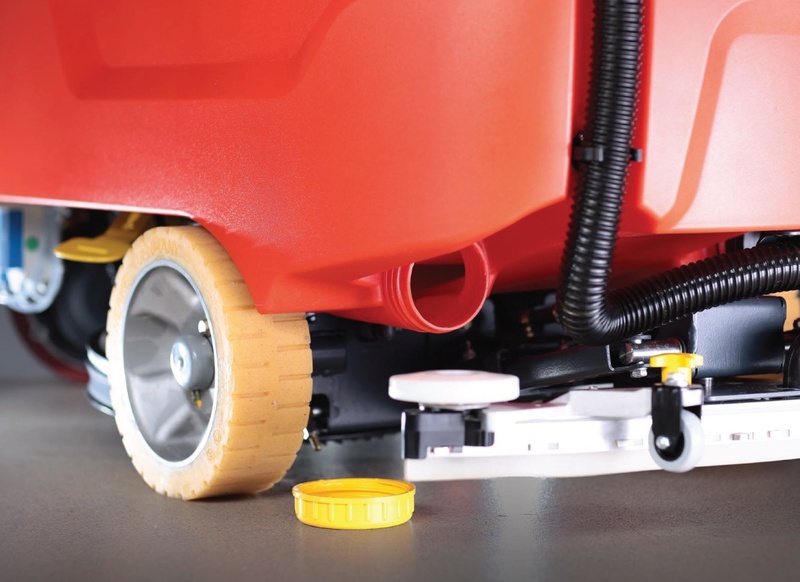 Clean: Direct access to the solution tank, enables easy cleaning/ rinsing. 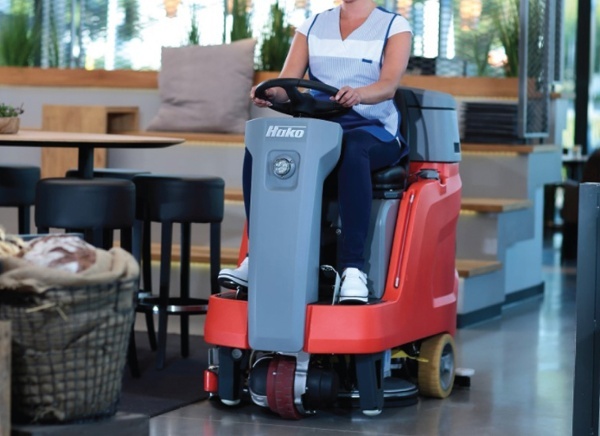 The new Scrubmaster B75 R can access areas that could previously only be cleaned using walk-behind scrubber-driers. 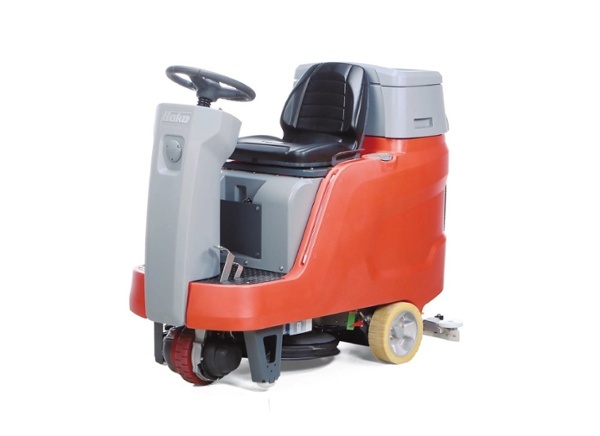 The compact dimensions and superior manoeuvrability are only two of the scrubber drier’s many advantages. Moreover, the machine offers superior operating comfort: The ergonomic, back-friendly design of the seat, which increases both comfort and productivity, is just as convincing as the wide range of practical details facilitating operating as well as cleaning and maintaining the machine. 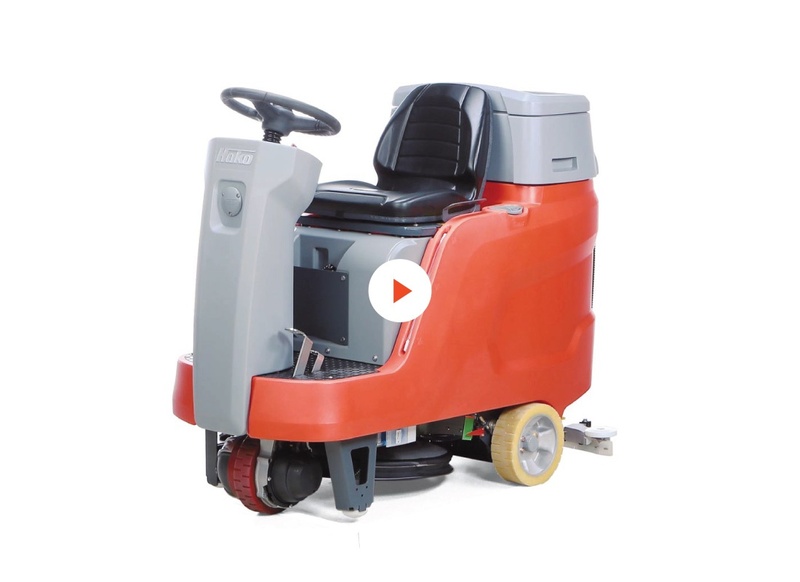 Given the transport speed of up to 6 km/h, which can be controlled and reduced at the push of a button, and the long running time, the Scrubmaster B75 R cleans large areas in a fast and efficient manner. An integrated work headlight enables cleaning in dimly lit rooms. 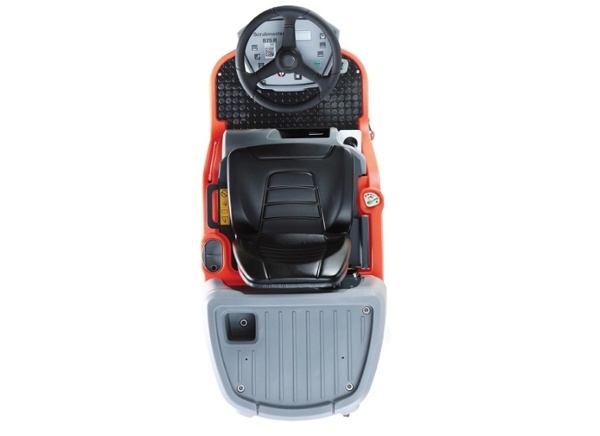 The ergonomic seat enables fatigue free working and the operator always has a perfect view onto the working area. 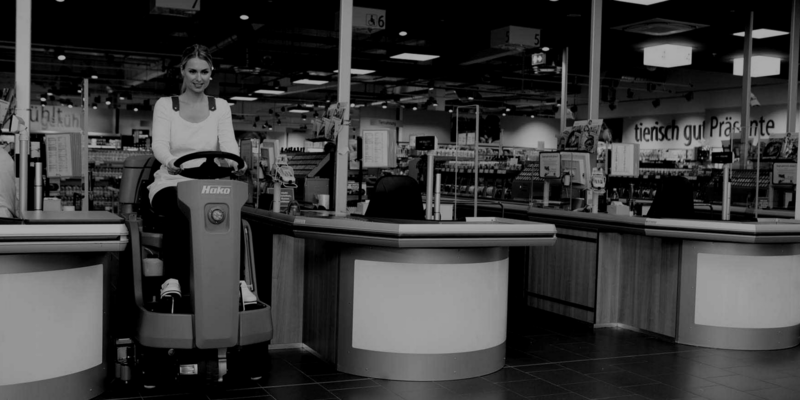 The short squeegee enables cleaning in narrow areas with less than 80 cm clearance width – for example in checkout areas. To pass through even smaller areas, the squeegee can be dismantled with little effort and stowed away in the squeegee holder. Residual water remaining on the floor, for example after defrosting deep freezers in difficult-to-access areas, can be removed comfortably by using the hand-held vacuum tool. The integrated tool holder allows stowing the tool away safely during travelling and have it ready for use quickly when dismounting the machine.